Dr. Manchester has a passion for helping people. He has extensive training in listening to your story and helping you find your path to an attractive, comfortable and long lasting smile. He attended the University of Pennsylvania in Philadelphia and moved to California after graduation in 1977. After 11 years practicing in West Los Angeles, Dana purchased an existing practice in Lompoc and with his wife Barbara they brought their 3 boys to Lompoc for its family friendly atmosphere. Dr. Manchester continues his education through numerous avenues including UCLA and the Pankey Institute for Advanced Education (www.pankey.org) in Key Biscayne Florida. In 2003 he helped start the Pankey Study Club of Southern California to make the principles and education more available to dentists in our state. He is currently the treasurer of our Lompoc Academy of Dentists as well as a member of the American Dental Association and its local affiliates the California Dental Association and Santa Barbara Ventura County Dental Association. 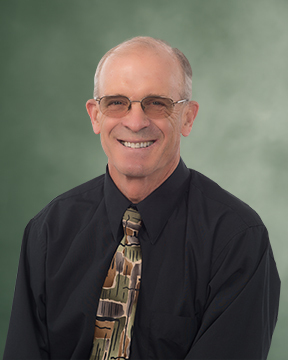 Dr. Manchester has provided an informative column in the Lompoc Record during his 23 years here. Education helps remove barriers to health by increasing understanding of the many improvements in care available today. He welcomes questions from patients that can increase this service to others. Dr. Manchester has been active in the community volunteering at Clarence Ruth Elementary School with dental screenings for over 10 years. He is also active at church and through Rotary where he served as Club President for the Vandenberg Village Rotary Club in 2010. He is an enthusiastic bicyclist and can be seen out on our many scenic roads.